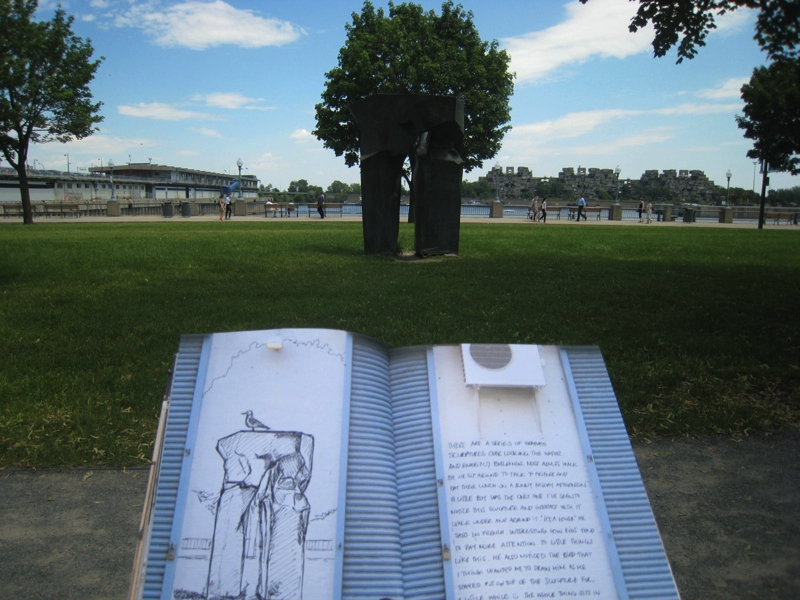 After my lunch on a park outside overlooking the expo 67 buildings, I decided to draw was right in front of me: An abstract sculpture sitting on the grass as a part of a series of sculptures in that area. I found out later on that they are the creation of Ju Ming, and this particular one is called Taichi Arch. Ming decided to take on T'ai chi as recommended to him by a mentor in order to develop his physical and mental discipline. This inspired him to create sculptures inspired by T'ai chi, which brought him international success. There were people walking, running, biking around, or siting on the grass having lunch. One runner took a break to do some yoga moves on the grass and did a head stand, went back on his feet and continued running. Nobody really seemed to notice the sculptures except for one little boy who ran to it to investigate it. He went around it and under it. He seemed happy to be able to interact with it and ran to his mom and told her "C'est une maison!" (It's a house! in French). It's interesting to see how kids pay more attention to these things. 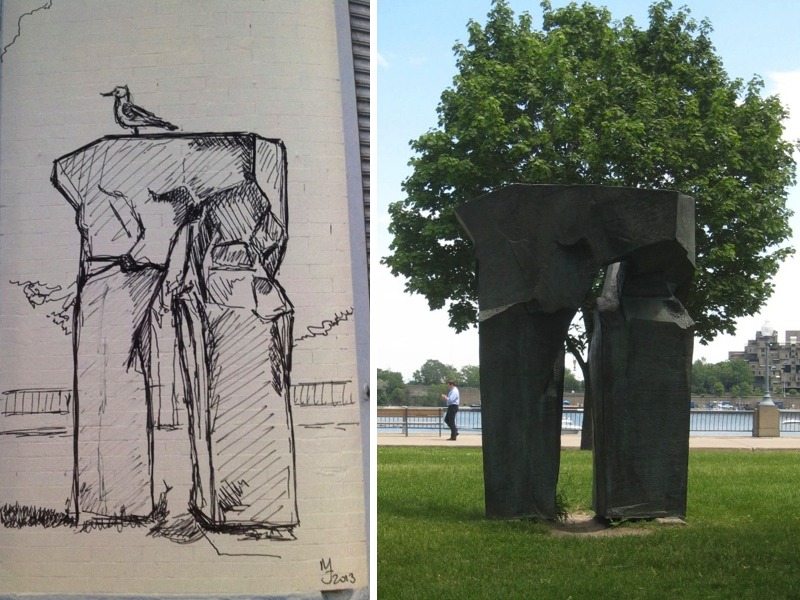 As a was finishing my sketch, a seagull landed on top of the sculpture and barely moved. I think he might have wanted me to draw him too. So I did. It was a great way to add a bit of life to my drawing.